It is time to get inspired to live the most creative life you can ever imagine. Team S.H.I.N.E. 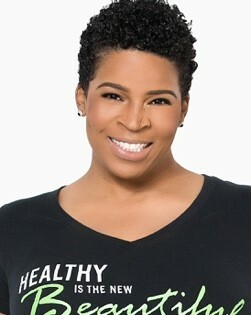 is excited to introduce the self love crusader Marsie Ross of Edlyn Essentials and Happy and Healthy Coaching. Dr. Marsie Ross is “The Self-Care Crusader”. She is a Women’s Self-Care Expert, Award Winning Pharmacist, Certified Integrative Nutrition Health Coach, International Speaker and Author. Dr. Marsie founded EdLyn Essentials and Healthy and Happy Coaching out of a passion to help women not just live to serve others, but to thrive in their own lives! EdLyn means “Noble Protector” and that’s exactly how she feels about women health! Her motto is “Healthy is the New Beautiful”. Dr. Marsie Ross empowers and educates women to take charge of their health and happiness. The pressures of “faking it til you make it” can have catastrophic effects on your health, relationships and careers. She works with professional women who are ready to get to the good part of healthy living so they can lead effectively, sustain quality relationships and have authentic confidence. As a mother, wife and CEO, she knows first hand the uphill battles women face with sustaining positive body images and maintaining good mental and emotional health. Dr. Marsie is on a mission to build an army of self-care crusaders who embrace self-care without guilt or apology! Come get inspired to shine!